Os proprietários aproveitaram o sol para fornecer energia solar e usar a tecnologia da NASA para filtrar a água da chuva na propriedade. Os quartos são confortáveis, têm camas queen size e as paredes foram decoradas com murais com temas tropicais pintados à mão. Há mesas de jantar e cadeiras e um café bar em cada suíte. Os proprietários Bob & Marie oferecem um excelente serviço ao cliente, que inclui um serviço de preparação de refeições. Cada suite tem um pátio privado com vista para o oceano e um local ideal para um jantar ou um cocktail no final de um dia a explorar Carriacou. We stayed for a week at Seaclusion Suites and it was fantastic. The room was comfortable, clean, beautifully decorated and well-equipped if you wanted to cook. Then you step out of the door to the best view ever, overlooking Sandy Island, with St. Vincent and the Grenadines in the distance. You can walk to some of the best beaches on Carriacou. Our hosts were warm, welcoming and very helpful during our stay. We had a wonderful visit and hope to return! We stayed for a week at Seaclusion Suites and loved every minute. The room is comfortable, beautifully decorated, spotless, and well-equipped if you decide to cook. 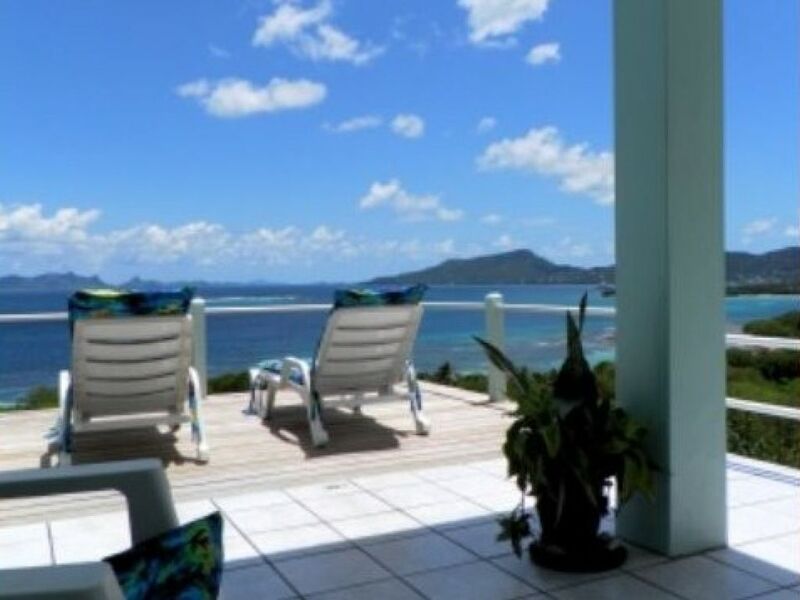 But the view is unforgettable - the covered porch looks out over Sandy Island and from Seaclusion you can easily walk to some of the best beaches on Carriacou. Our hosts were warm, welcoming and very helpful during our stay.